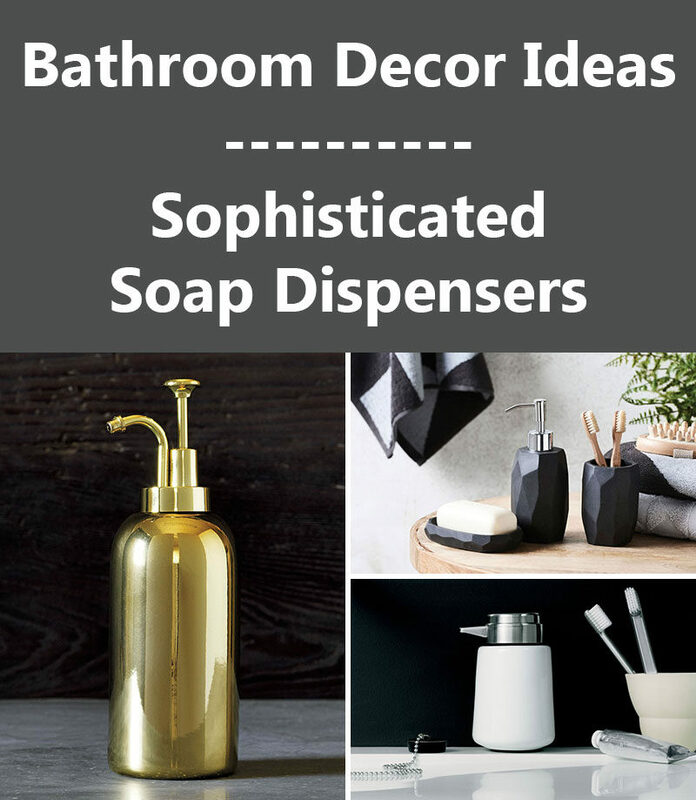 Soap dispensers have the power to take an average bathroom and turn it into a stylish space, but plastic bottles of soap, picked up in a rush at the grocery store, simply won’t do. 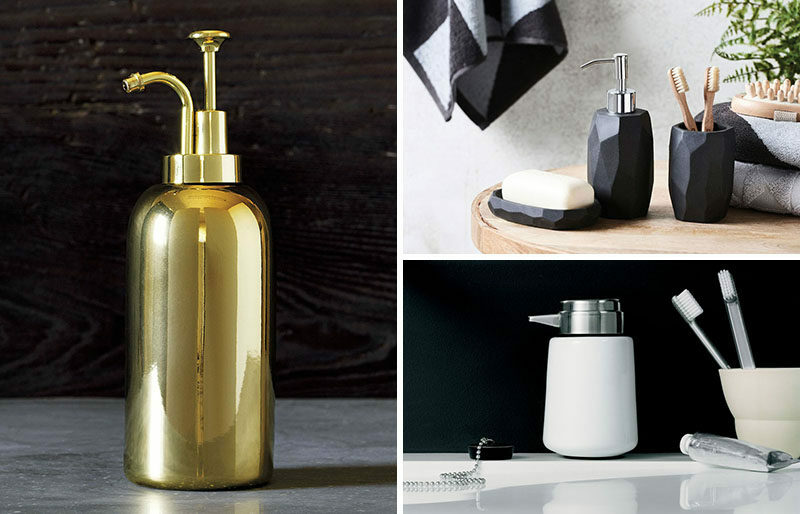 Here are 10 examples of sophisticated soap dispensers to step up your bathroom decor. 1. 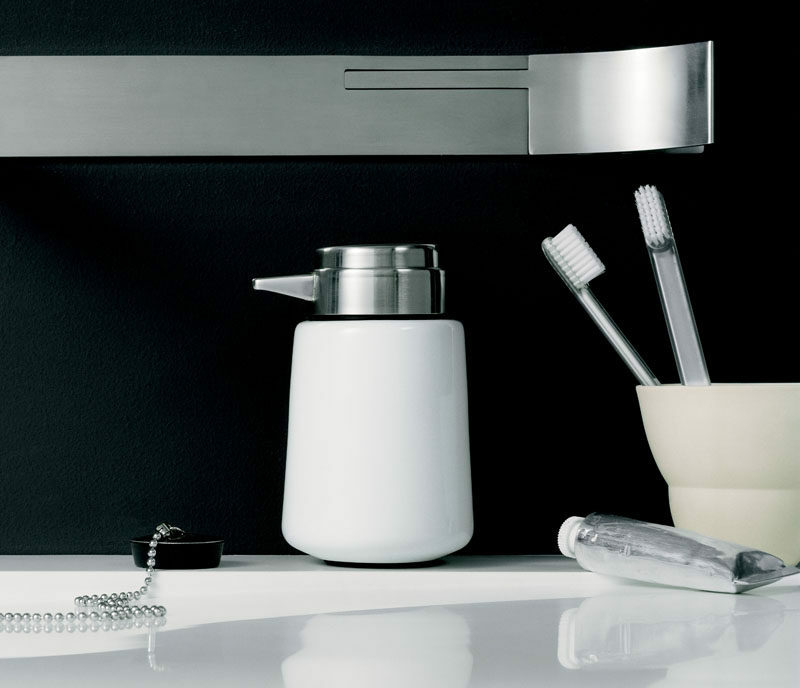 A sleek shiny soap dispenser like this one sitting next to your sink just screams sophistication to all who enter. 2. 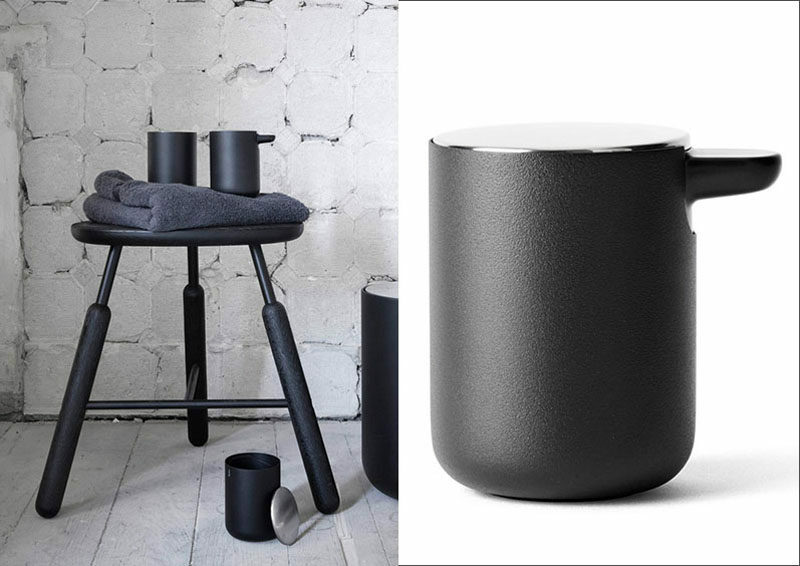 This black soap dispenser is the perfect addition to any modern bathroom that needs a touch of sophistication added to it. 3. 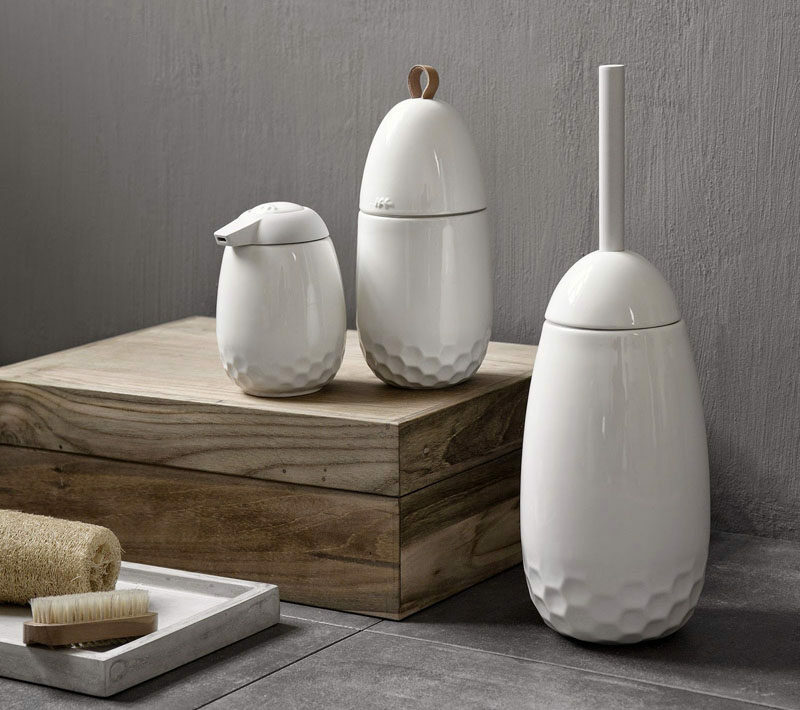 This small white ceramic soap dispenser with a honeycomb base brings in a simple elegance into the bathroom. 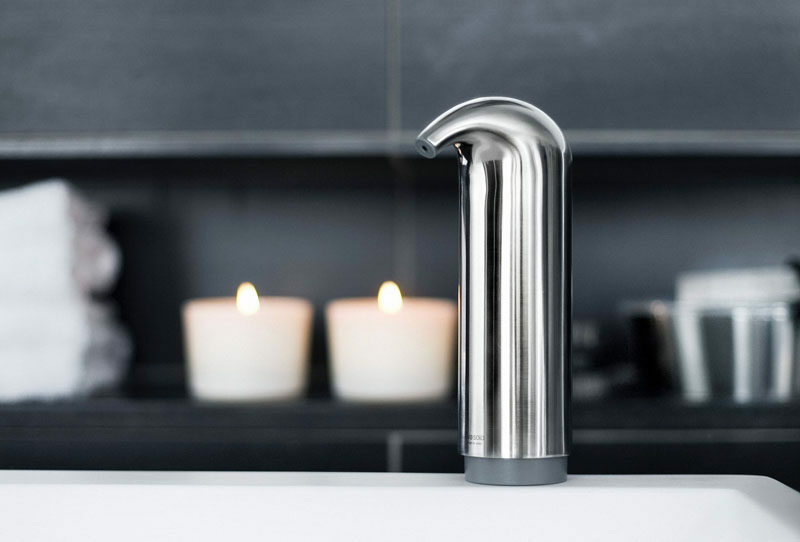 Mellibi Soap Dispenser designed by FurnID. Manufactured by Kahler Design. 4. This sleek shiny soap dispenser is so high tech you don’t even need to touch it to get soap onto your hands. 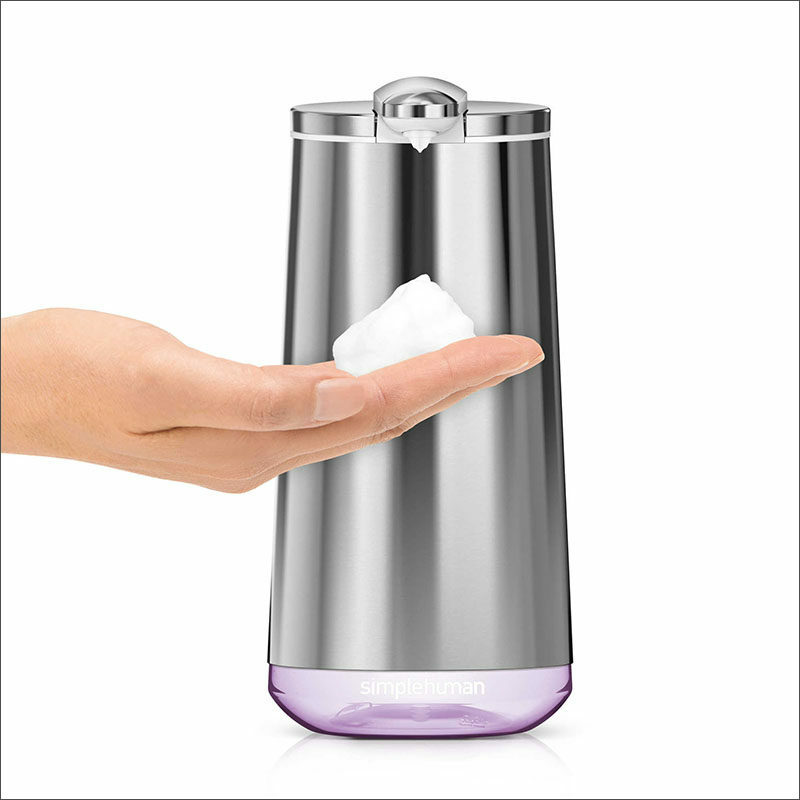 simplehuman® Foam Cartridge Sensor Pump Hand Soap Dispenser from Bed Bath & Beyond. 5. 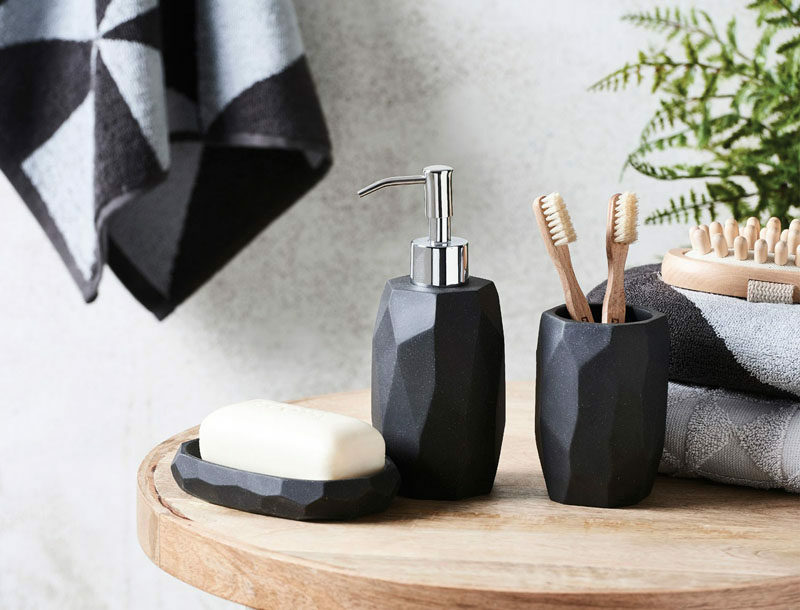 The geometric look of this soap dispenser makes it great for modern spaces while the dark grey color gives it a grown up feel. 6. A simple white marble soap dispenser adds class to your counter and makes washing your hands feel like a luxury. 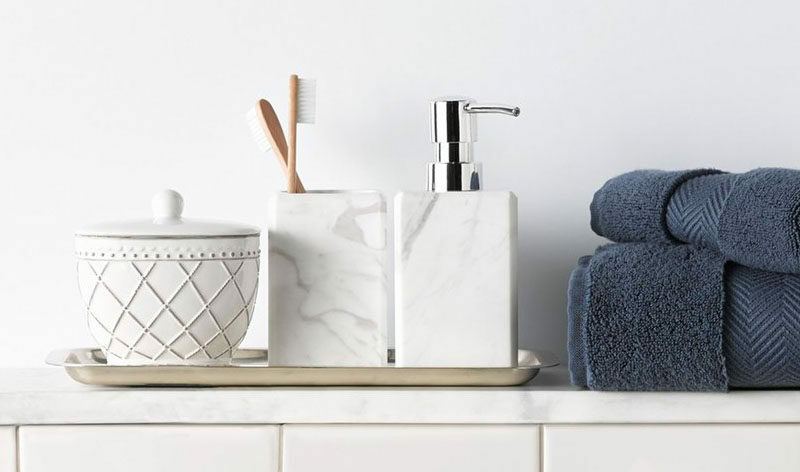 Studio ‘Luna’ White Marble Soap Dispenser by Waterworks – available through Nordstrom. 7. 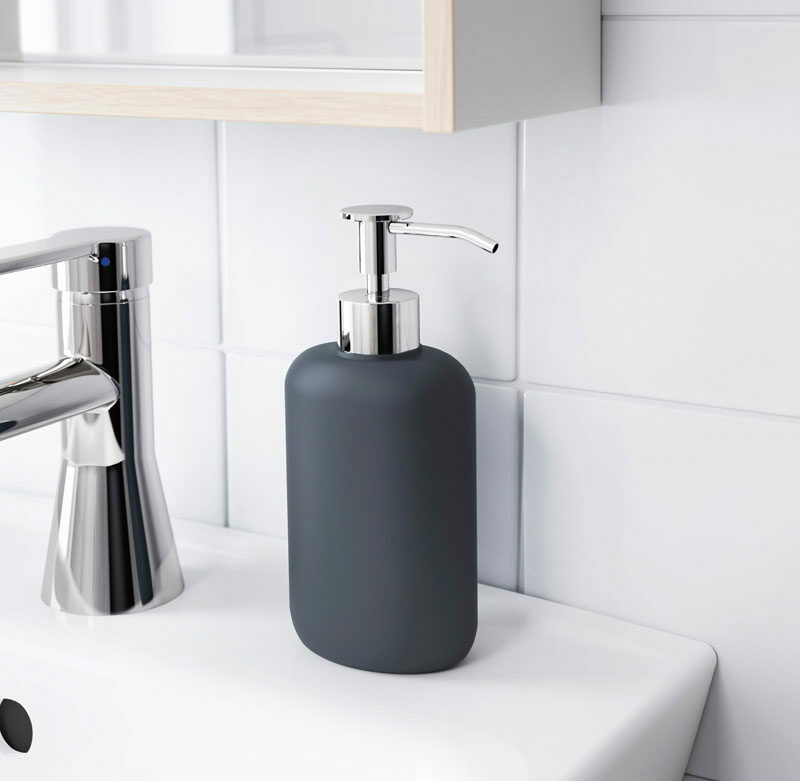 Available in both black and white, this little soap dispenser packs a major style punch and looks right at home on bathroom counters. VIPP9 Soap dispenser from Vipp. 8. A simple matte black soap dispenser surrounded by a white bathroom makes a bold statement and creates a sophisticated contrast. Ekoln soap dispenser from Ikea. 9. 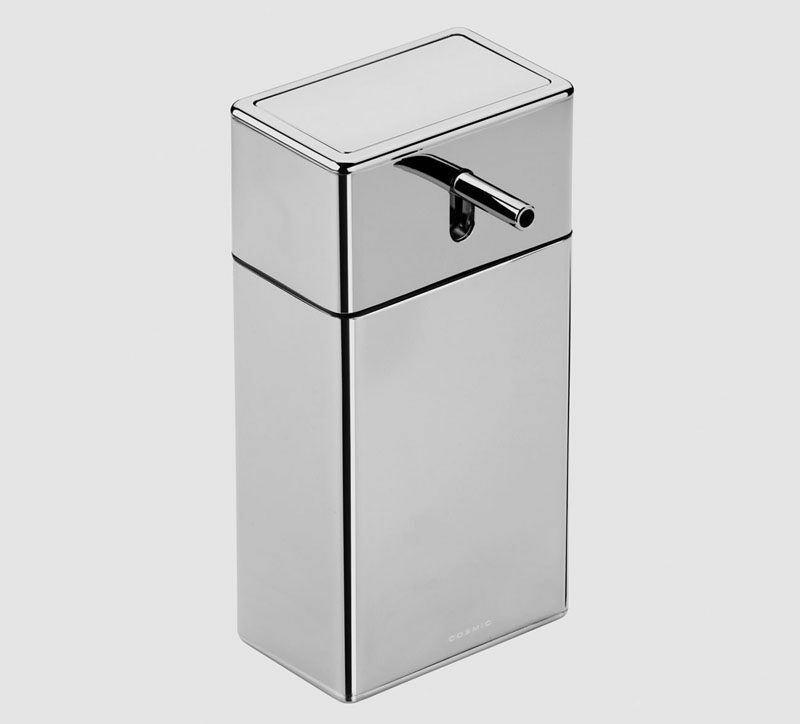 Pumping soap out of this shiny dispenser will make you and all your guests feel like you’re using the fanciest soap in town. Extreme Soap Dispenser from Roger Seller. 10. 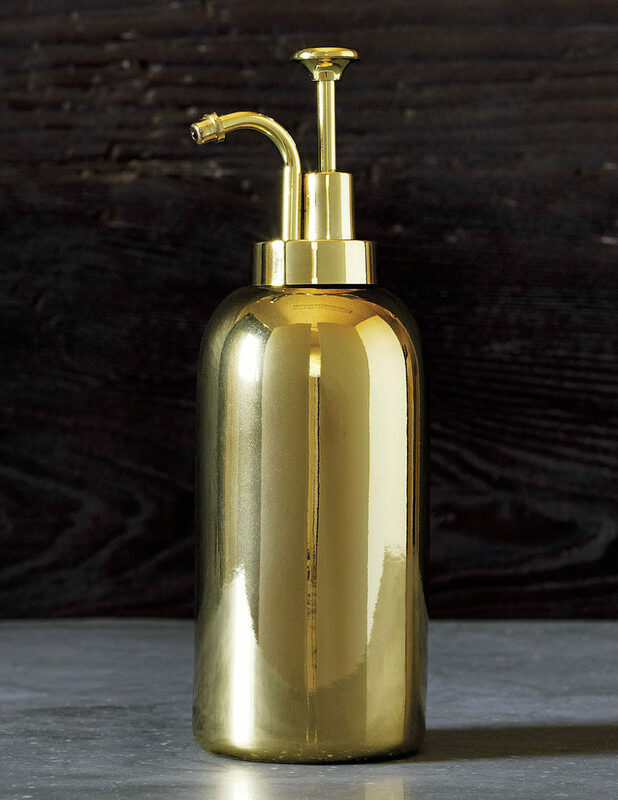 A gleaming gold soap dispenser adds a sophisticated glam to your bathroom and works with nearly every bathroom interior.